Knit One, Pearl Two - Nekaro & Co. I have been on a serious crafting spree. 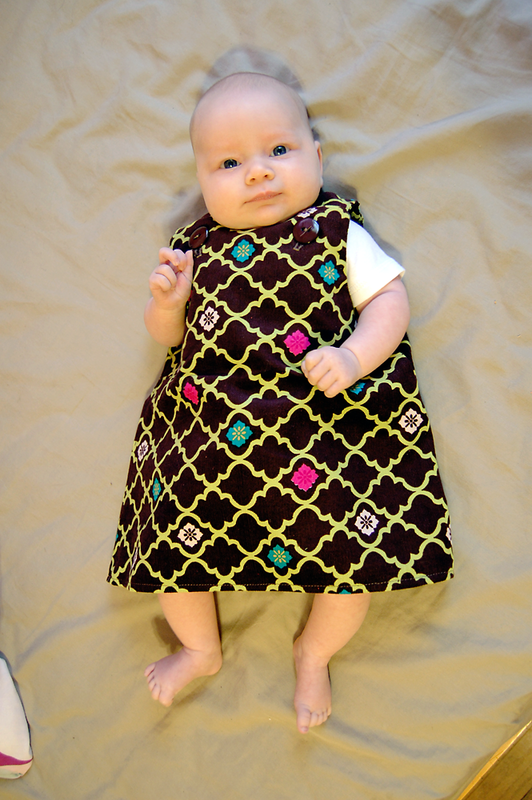 First, it was Rowan's new blankie. Now I've evolved to actually using a pattern! A real, honest to goodness pattern. Ok, with that being said... what in the hell are these pattern making people thinking? I mean seriously? Why does the pattern have to be thin enough to read through? My Mom showed me an invaluable trick. 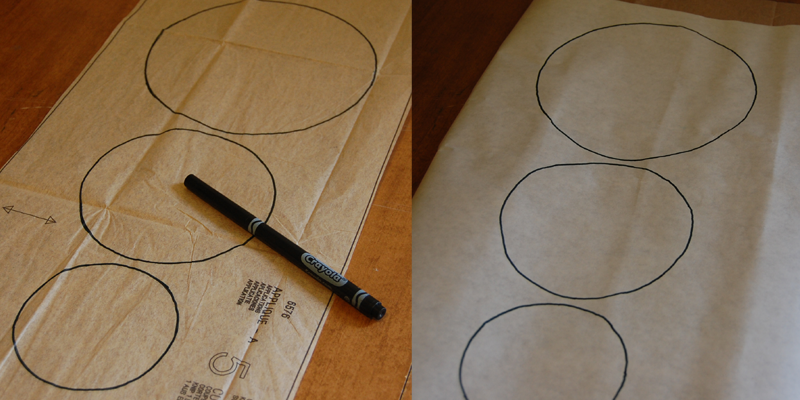 Use freezer paper to trace a pattern. It's sturdy and will hold up, but it's thin enough that you can trace through it. I've never been more than a pillow maker. You know, nice square items. Easy to cut, easy to sew. A couple of weeks ago, while getting fabric in Hobby Lobby for a faux Moby wrap, I saw some seasonal corduroy. Immediately I thought of how cute it would be as a jumper for Rowan. I put it out of my mind because I knew I would struggle with a pattern. I just don't understand sewing terminology. Why does it have to say "selvage"? Just say "the edge of the damn fabric with words on it". And what about "nap"? Just say "fuzzy fabric". See how this works? Ok, so when I went back last week I bought the fabric... and the pattern. This pattern. It looked simple enough. After quite a bit of head scratching, a couple of seams being sewn then ripped out and re-sewn... I FREAKING DID IT! Oh and this post has nothing to do with knitting... I don't even want to think about learning that yet!